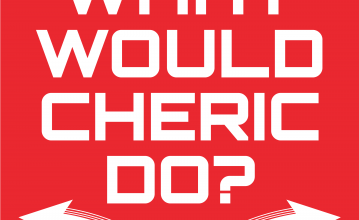 chericpodcast | What Would Cheric Do? As one of the top agents in the SSA, we are no stranger to deadly and perilous missions. With our attaché case in hand, we take on the search for a mystery man who has just escaped from a Russian agency. This case may prove far deadlier then we suspect but we eat danger for breakfast. Tune in to “The Deadly Shadow” to see if we can bring this man to justice! Cheric, as part of a 2nd Grade class project, got a penpal in New Orleans. We conversed over the year and then Hurricane Katrina hit and we never heard from her again. Fast forward to middle school in Maine and we think the new girl in our class looks a lot like our old penpal. How can this be? We thought she died in the storm. Did she survive? Or has she….come back from the dead??? Tune in to find out! There was way to much rocking for one podcast!!!! Our bandmates are still missing and the demands are still rolling in from the kidnappers. Will we ever find our friends? Who or what is behind this diabolical plot? Check out the rest of Rock and Roll Mystery and see what happens next! Welcome to Chapter 3 of WWCD! Cheric is off to a rollicking start this year! He’s in and up-and-coming rock band, gearing up for their first world tour, when tragedy strikes and two band members go missing. Ransom demands follow, leaving Cheric and the gang to decide what they’re going to do! For our final episode of 2018, we revisit one of our favorite books we’ve read the year! What further mysteries are in store for us on our second trip to this witch’s mansion. Can we finally rid this quiet Connecticut town of this cursed manor? Or will it simply be an effort to escape Witch Bigly’s clutches with our lives? Another fun adventure awaits and we close the year with another Cheric first! Just a normal summer vacation in France with our cousins this week. Nothing really unusual. We just rent a hot air balloon and ride it…ALL THE WAY TO THE SAHARA DESERT!!! Needless to say we’ve gotten ourselves into a real sticky wicket this time. But, hey, since we’re here we might as well make the most of it! Maybe make a few new “friends”, take a good look at ourselves, and see if we can’t find a way out of the Sahara.